The Priors Dental Practice is conveniently located in the South Staffordshire village of Penkridge, just off Junction 13 of the M6. 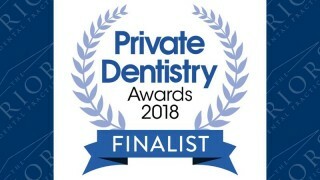 Located in a stylishly refurbished Georgian building, our award winning practice is owned by Principal Dentist, Mark Emms. 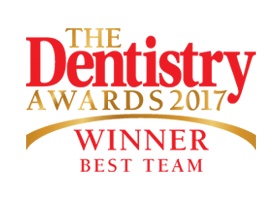 Mark leads an exceptionally qualified and respected team of dentist professionals. 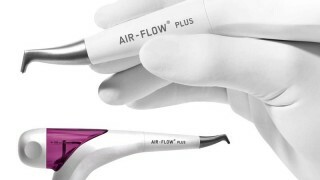 We pride ourselves in our philosophy to excel in all aspects of service and patient care at all times. By listening to you, we can understand your concerns and discover exactly what you wish for, then discuss the treatment options and estimation of costs, as well as our plans to achieve it. Why not contact our friendly reception team on 01785 712388, or email us to request a consultation? 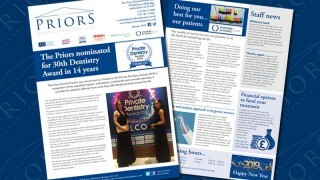 Read more about the latest goings on at The Priors Dental Practice in our Spring 2019 Newsletter. Click here to download a copy.